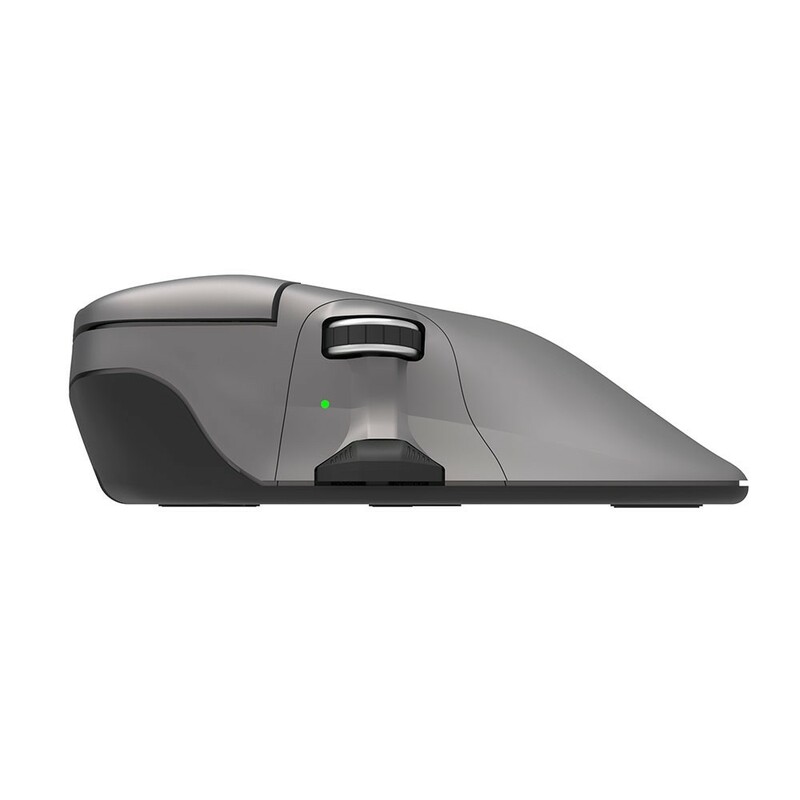 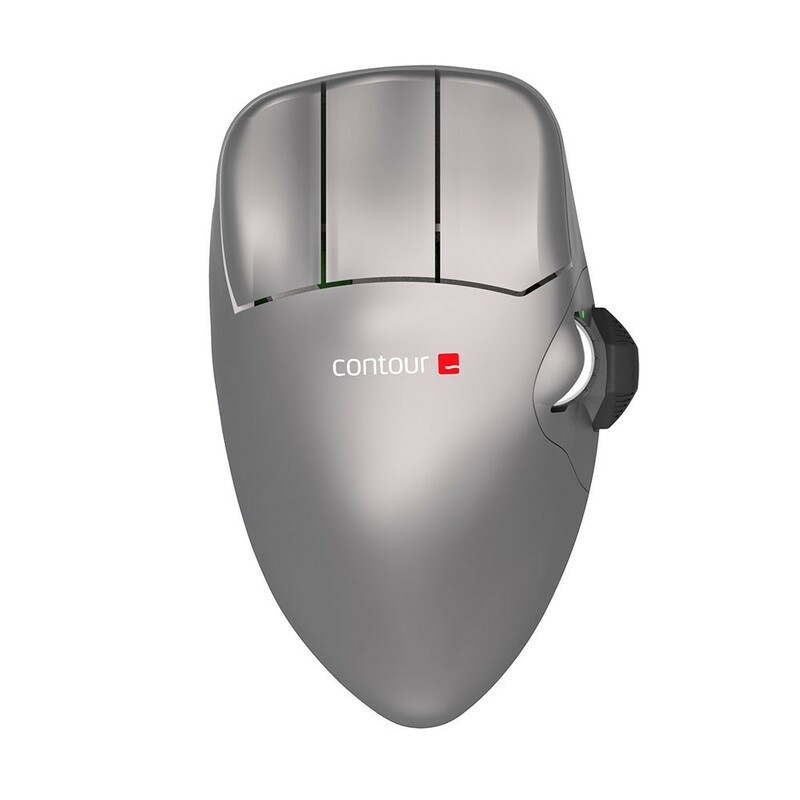 One mouse doesn’t fit all, so Contour Mouse now comes in five different sizes. 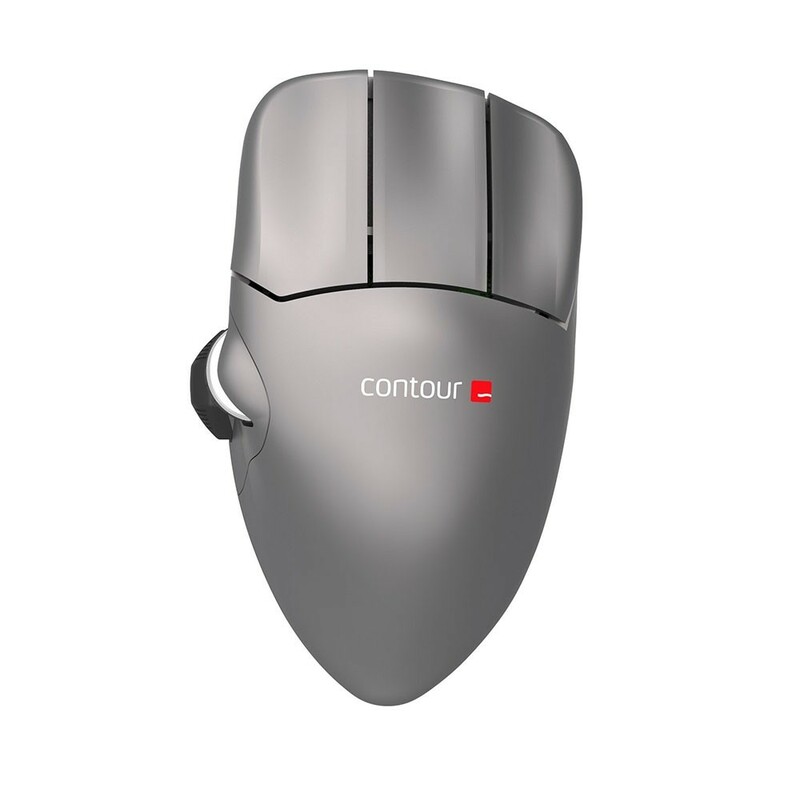 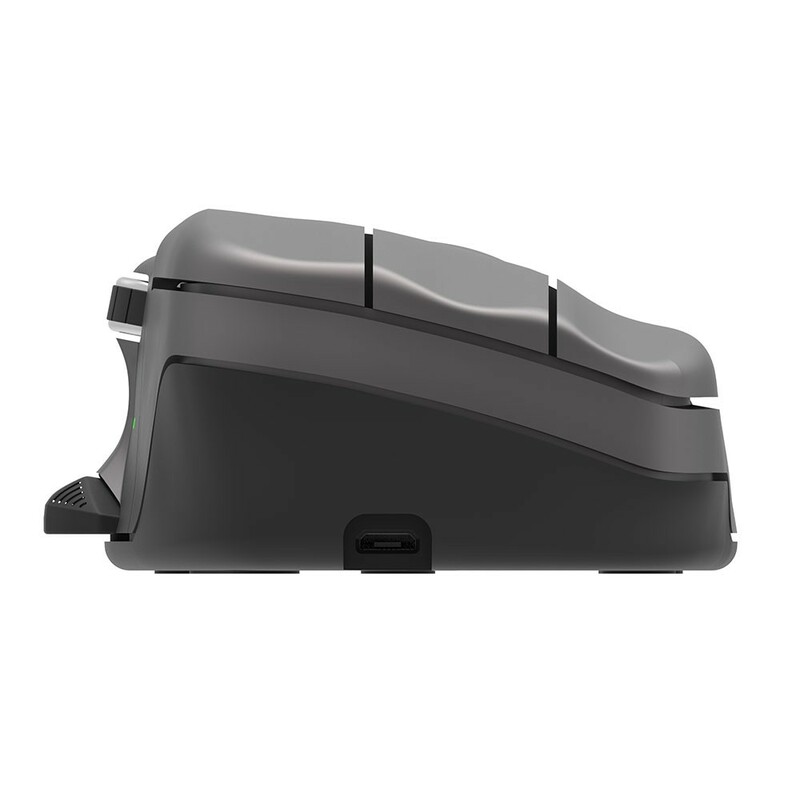 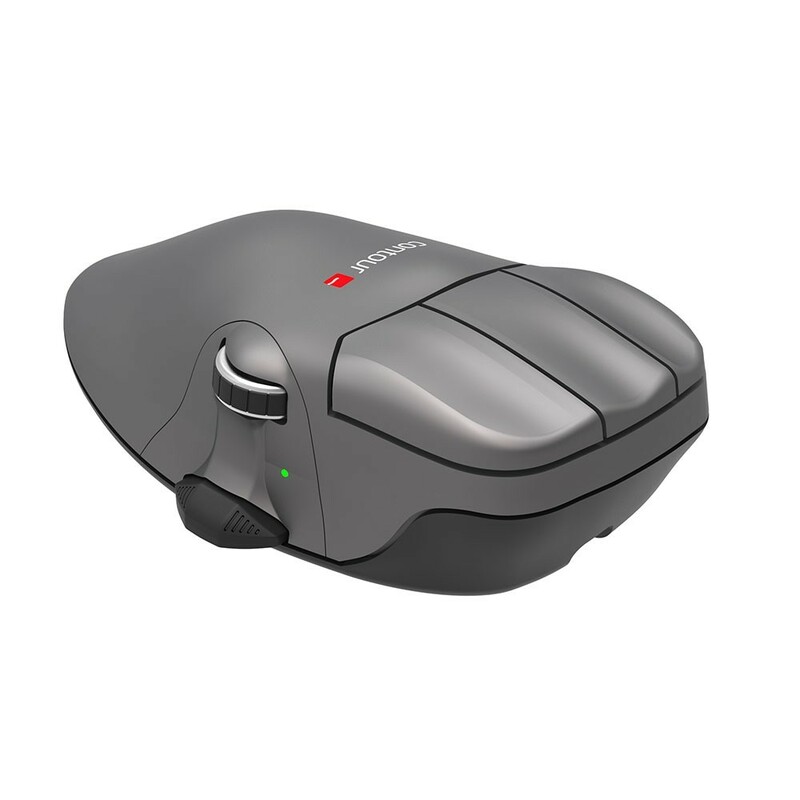 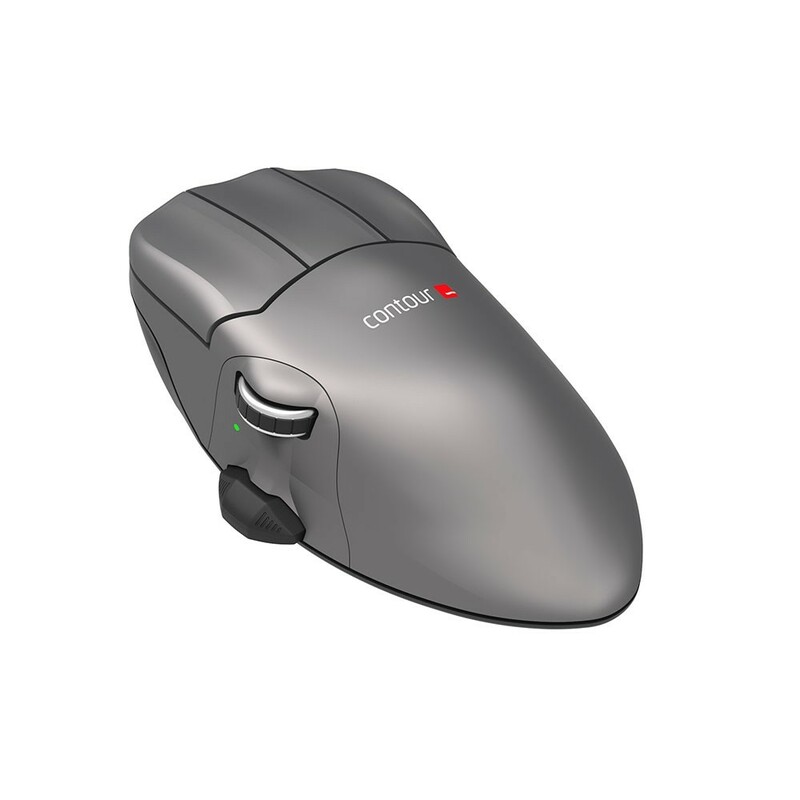 The famous ergonomic Contour Mouse supports you in a comfortable ‘open hand’ relaxed posture, whether you’re right or left-handed. 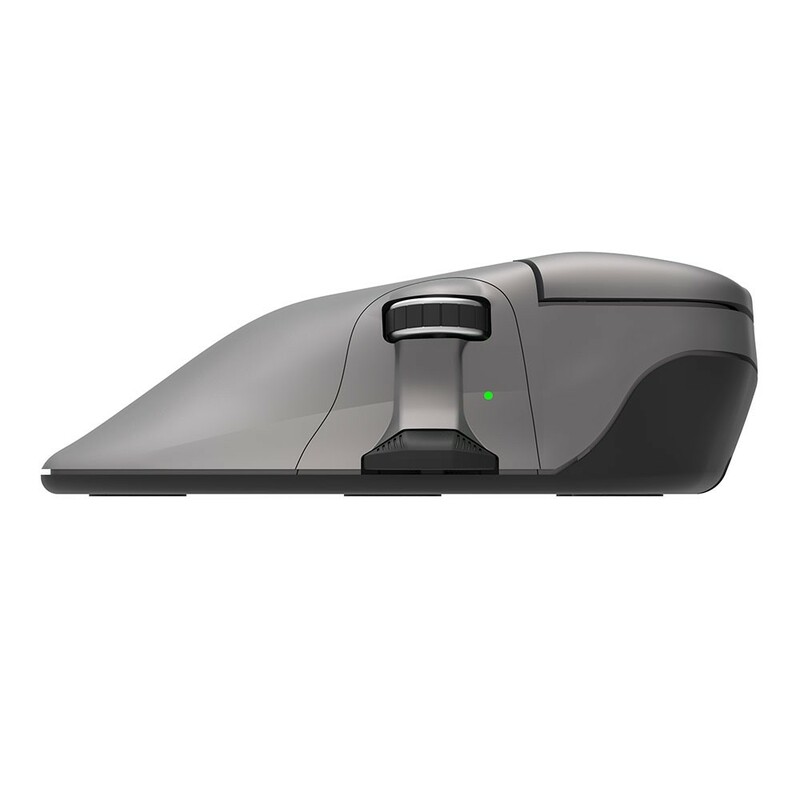 The pronounced arch promotes proper alignment of the hand and wrist, while the thumb mounted scroll wheel allows for effortless browsing. 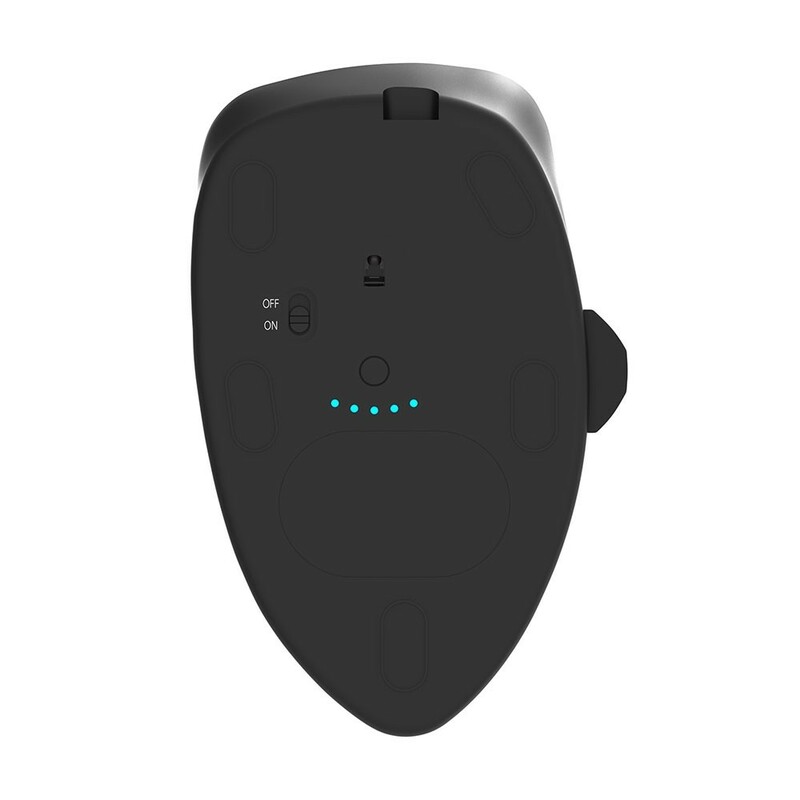 Say goodbye to clutter with the new wireless design, which lasts up to two weeks on one charge and includes a micro USB cable so you can recharge on the move. 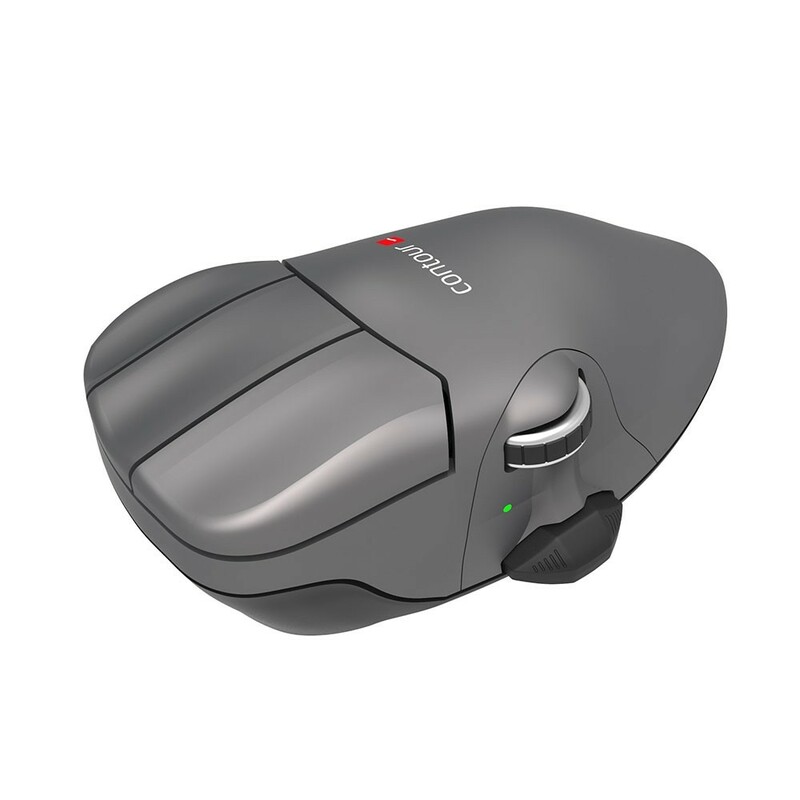 Designers, illustrators and editors will love the five-button design allowing instinctive, precise control of your on-screen applications. The three top buttons are elongated so that your fingers can rest and click without needing to flex and strain. 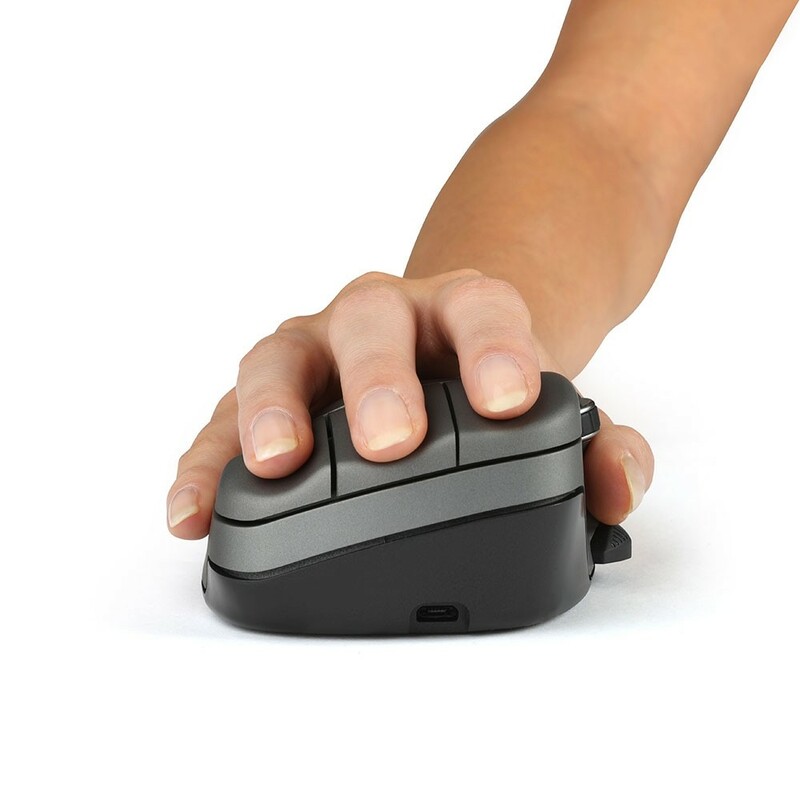 To find your ideal size, measure the length from the tip of your middle finger to the first crease of the wrist and compare your measurements with the specs in the table below. 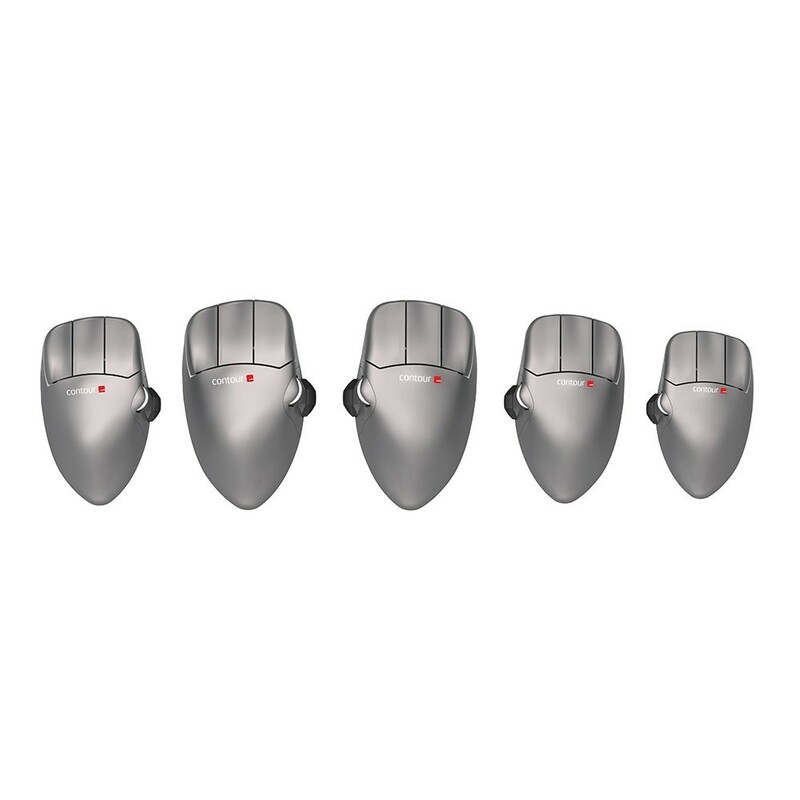 Right-handed models are available in all three sizes, while left-handed models only come in Medium and Large.